If you decide to go for space saver stairs it is important to be aware of building regulations in order to avoid any unlawful installations and be as safe as posible. 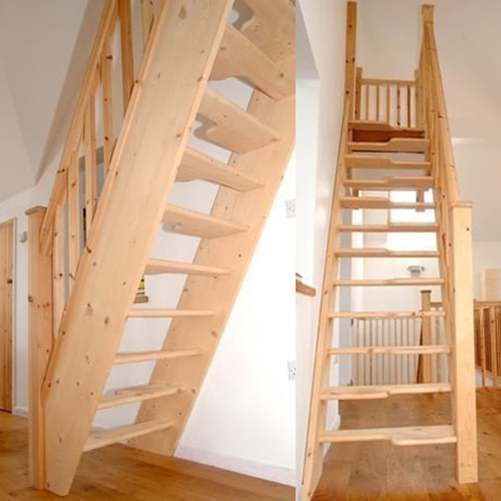 Significant point to remember are that space saver stairs must not be the main staircase in a dwelling. If a space saver is to be used "it should only be used for access to one habitable room". In all cases, the best advice would be to check with the building control officer at your local authority. As the steps alternate between left and right, think about which foot you favour before you purchase. If you start climbing stairs with your left foot then stating with a left tread will better suit yout needs. Not having the correct layout can lead to confusion. It is also important to be awar eof paterials, we recommend treads thicker than 32mm and made from a sturdy material. Due to the shape of the treads there are more stress points, so a strong material is crucial. 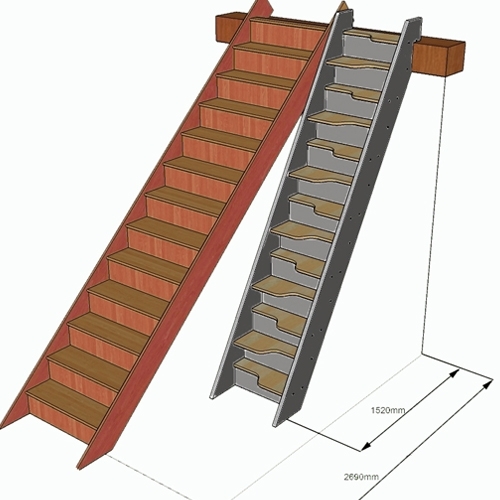 Find out more about space saver stairs here. Or click here to get straight to designing your own staircase.